Given any intersection of two paths, is there a way to make a cut exactly on said intersection, so all four newly created end points share the exact same coordinates? 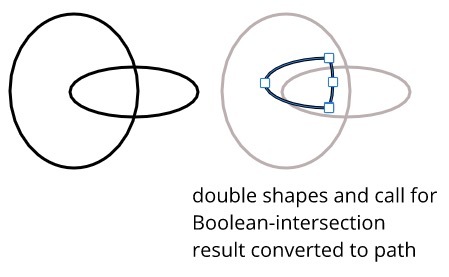 The Boolean intersection don´t work for you? @EllenM Boolean operations only work on objects. 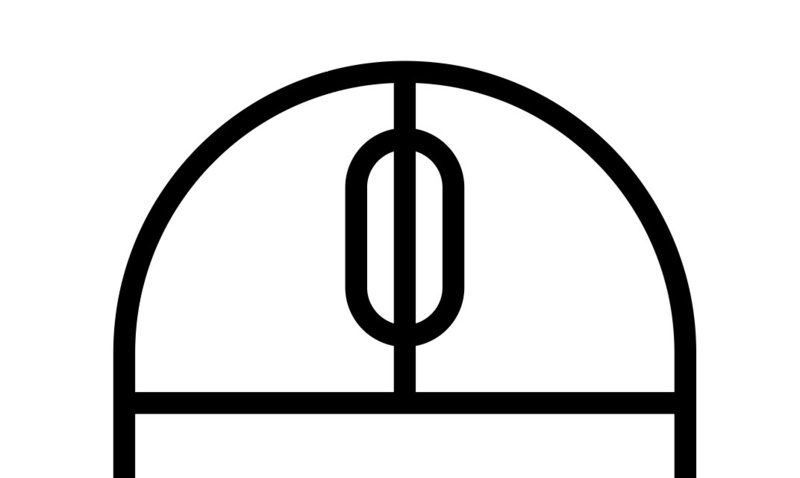 It will not work on the intersections of paths - like a line and a circle. Knife tool probably. What do you have on your canvas right now? Drawing a simple mouse. Now I would like to split the line on the boundary of the scroll wheel. And to be honest I wouldn´t even thing about to cut that line; simply let it end on top (snapping all around) and start a new one at the bottom of the scroll-wheel. That was just en example (and by no means I meant that I am prevented from making the desired shape because I can’t cut the path.) There are always many ways of creating geometry - and indeed part of the learning curve coming from other tools is to figure out what Gravit is good at and what it’s bad at, and what is the best way to use it. Thanks for the suggestion! Adding a manual guide is a nice workaround that will come handy at some point. If you have some “real world” example to proof let me know. Thanks to you, I doubt I’ll have more examples: now that I’m aware of this limitation, I’ll just not get into this situation. As silly as this example was, it was real. Every tool has different workflows. In Illustrator for example, the fastest way would be to create the basic shapes and then use the shape builder to trim the middle. This would also allow me to get the buttons separated without having to make the shapes separately. In autocad or similar, I’d use a mirror line and then a trim command. In gravit… better to avoid this by drawing two separate lines it seems. In gravit… better to avoid this by drawing two separate lines it seems. I believe its quicker in this situation than calling an extra tool - no matter how smart it is BTW. What if I want to knife along an angle? Ah wow that’s pretty advanced compared to how I’m using gravit! I see you’re using snap to grid/guidelines extensively - I’ll try that to start with. If you can talk me through some of the other tools & techniques you’re using there that’s be great! Or if you can show the whole screen with the tool pallet as well maybe I can work it out for myself. There´s no need for the toolbar. Just make sure everything is selected in the layers panel you want to cut across with the knife tool. I used grid&guides as I expected you wanted 45° resp. 90° cuts. Pretty straight forward process - no secrets.